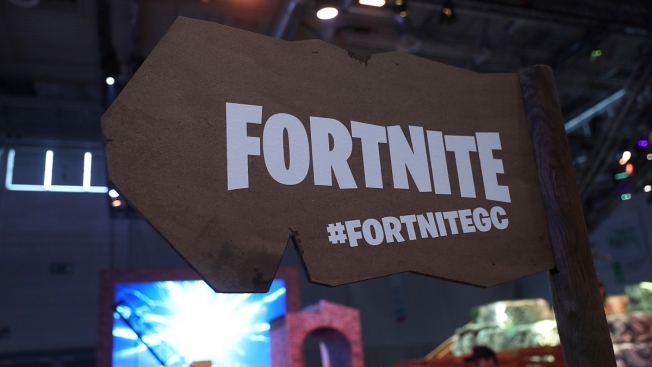 A sign advertises the 'Fortnite' computer game at the Gamescom gaming industry event in Cologne, Germany, on Tuesday, Aug. 21, 2018. The soaring popularity of the video game "Fortnite" has led some parents to hire tutors to learn more about playing the game, NBC News reported. Chuck Cohn, the founder of Varsity Tutors, which offers online instruction on a variety of academic and non-academic subjects, said his company receives between 500 and 1,000 inquiries about the game everyday. And parents aren't the only ones working with them. Joseph Armienti, one of Varsity's tutors, said he has a mix of children and adults working with him.